Lesslight - eye protector gives you all the major functions of a night filter without ads. 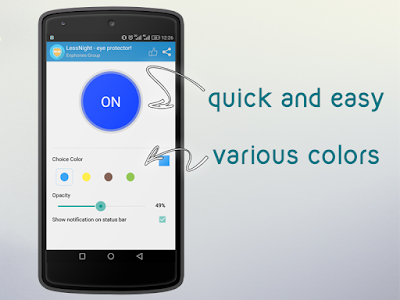 With a round slider interface, you control the black, yellow, blue and red light. When you’ve tweaked the color, you can preview changes with the play button.